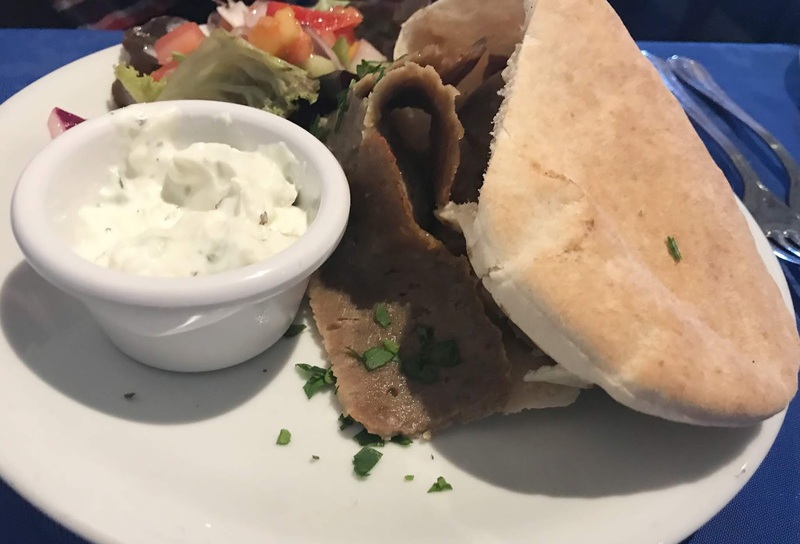 Aphrodite serves Greek Cypriot food with a few Italian dishes too, making it a great place to dine for Mediterranean food. They have lots of events, theme nights and special offers which they normally advertise on their Facebook page. As we visited on a Thursday night they had a special 2 for 1 menu on, as well as the main menu. 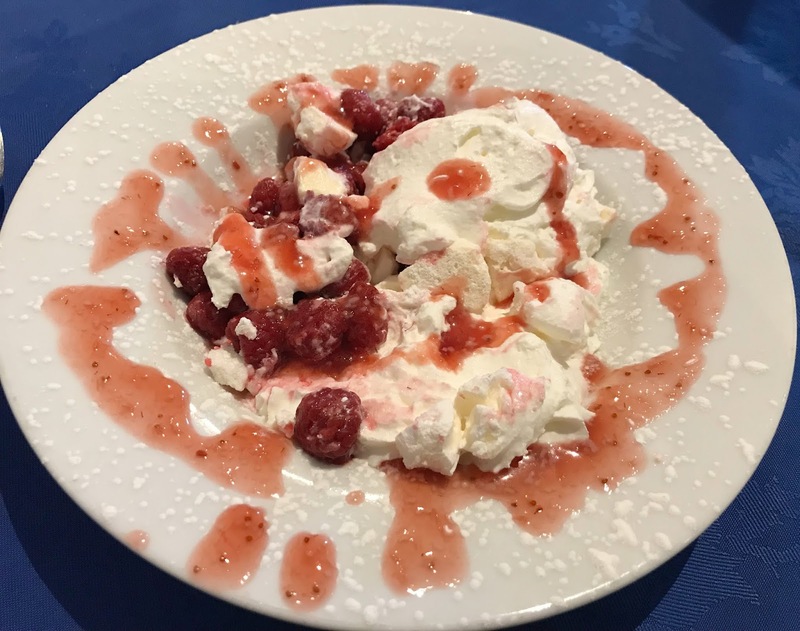 We decided to order off the 2 for 1 menu which was 3 courses from a set menu for £22 and was two meals for the price of one, making it amazing value. There was a choice of six starters, seven mains, and three desserts on the menu with a few vegetarian options available. For starters, I ordered the Halloumi and the other half went for the Doner Kebab. 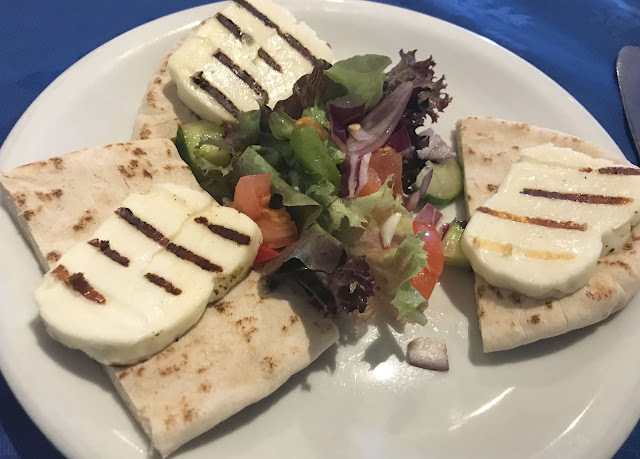 The starters arrived quickly and they were generous sized portions, my halloumi was grilled and served on warmed pitta bread and with a dressed side salad. The other half donner kebab was a big portion it was a warmed pita bread bursting with thick slices of warm kebab meat, served with a dressed side salad and a pot of tsatsiki dip. Both starters were delicious. 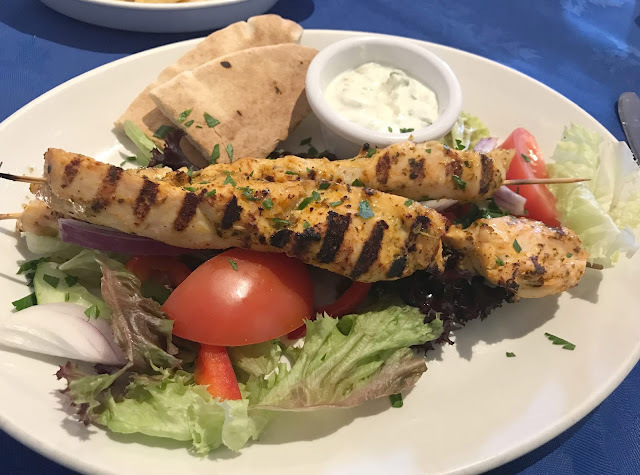 For mains we both ordered the chicken souvlaki which was two marinated, grilled chicken kebab skewers served on a dressed side salad, pot of tsatsiki dip, sliced pitta bread. This came served with either chips, potatoes or salad, we both went for the chips. Again this dish was delicious, it was a generous portion with chunky homemade chips and a moreish tsatsiki dip. I would definitely order this dish again the next time we visit. I was so full I almost skipped dessert but I decided to order the raspberry Eaton mess and I am glad I did as it was tangy and perfect for a warm summer night. 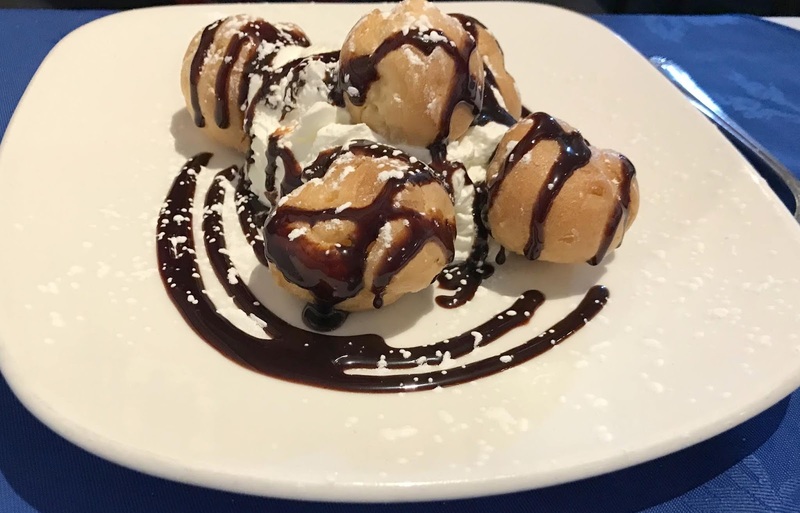 The other half ordered the profiteroles which were stuffed with cream and topped with chocolate sauce. We were both suitably stuffed from our meals and we both commented on how delicious each dish was. The food was simple but nice and reminded me so much of dining out on holiday, especially with the decor and low music in the restaurant. Service was polite and quick and we felt very relaxed and welcomed, so much so that we have already agreed we are revisiting again soon. The total bill for our meal came to £28 for three courses for two from the buy one get one free offer, two pints of coke and one coffee. I thought this was amazing value for the quality of the food and service. 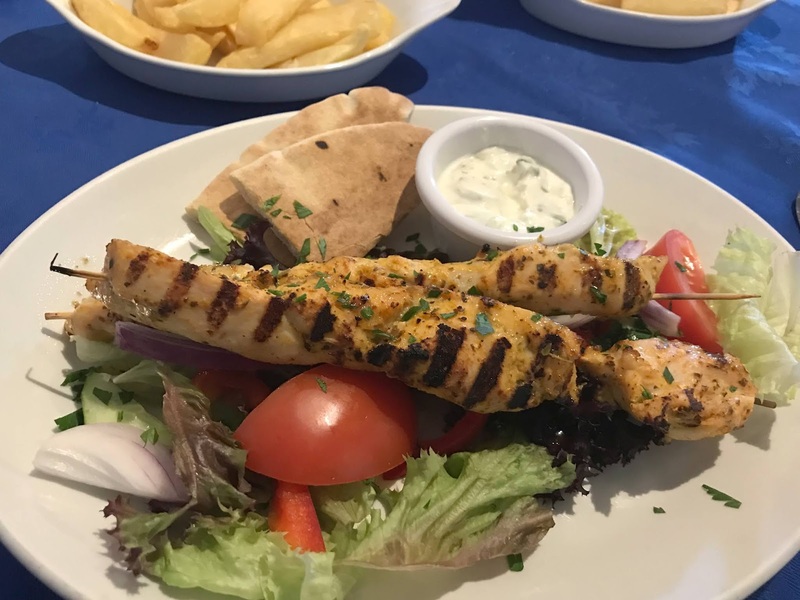 If you are looking for somewhere new to try out and you live near Cramlington then I really do recommend you visit Aphrodite Greek Restaurant at the Brockwell Centre. We paid for this meal & were not asked to write this review. this looks delicious! i love halloumi, i rarely go up to cramlington but may take a trip to visit here!